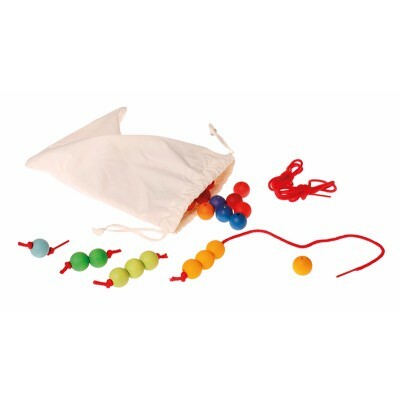 An exciting way for children to discover the world of numbers. Each number can be counted by feeling with the hands. The eyes can see the difference when the strings are laid out. 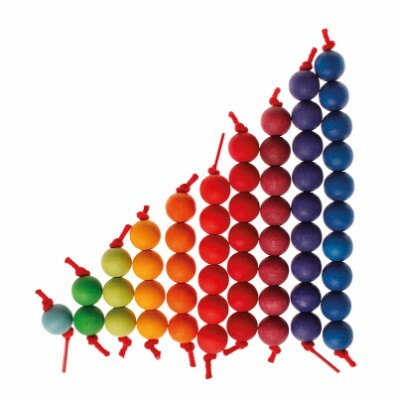 Together with the number sets (60310, 60340), the counting blocks (42100), the counting figures (03070), the Counting Stack game 11061 and the 5 Math Friends 10582 there is a super way to learn through Grimm´s rainbow numbers. 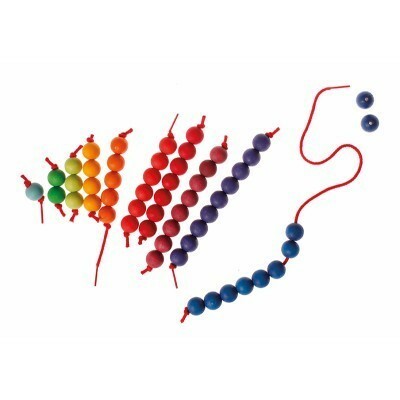 Quantidade: 55 wooden beads with cotton string to thread 10 coloured beeded strings. 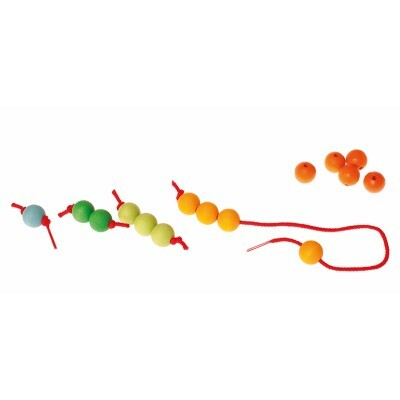 ATENÇÃO: CHOKING HAZARD ? 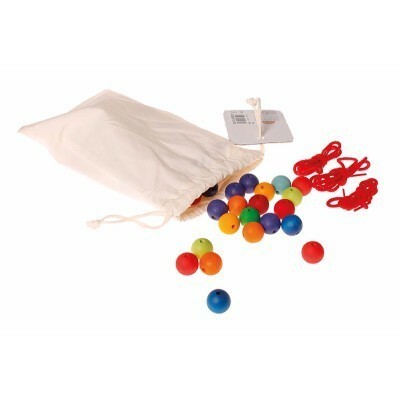 Toy contains a small ball. Not for children under 3 yrs.